Do you know there are simple things you can do every day that will actually build your baby or toddler's brain? It’s true! 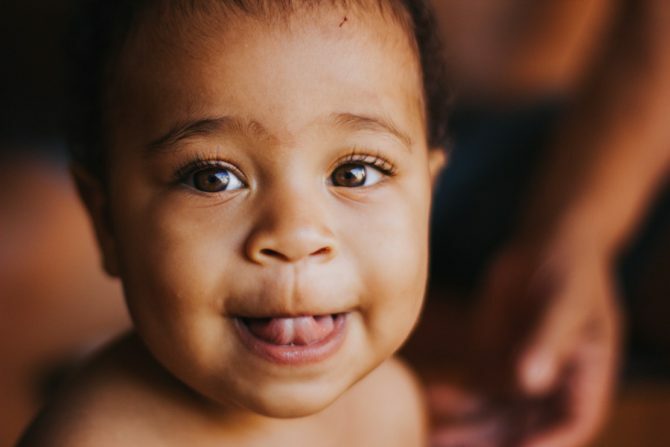 Children under the age of two who experience many personal verbal interactions on a daily basis will have up to twice as many nerve connections in their brain. It’s the only time in their life these nerve connections can be increased—after two years the connections start diminishing. When you talk, sing, rhyme, or read to your child on a daily basis, you will make their future learning easier. What grandparents have done with little ones since time began is exactly the best thing for their developing brains. All the nursery rhymes and ditties you sing, and all the finger-plays and action rhymes you share stimulate your baby's brain in a special way. When you and your child look face to face and talk, you’re building their brain. Play with your child's hands and feet, tickle them, sing to them—they don’t care if you can carry a tune! Read and look at books with your child as well. If they put a book in their mouth, that’s okay. It’s the verbal and facial interaction that makes the difference. Your child will not only light up at your face and words, they’ll be getting a head start on learning for the future. You can learn more about childhood brain development in Early Literacy Storytimes @ your Library by Saroj Ghoting. Or visit the author's website for more of her research and activity ideas.